Software giant Microsoft and imaging giant Canon have struck a cross-licensing patent deal that affects "a broad range of products and services each company offers, including certain digital imaging and mobile consumer products". While details on the specific devices and services aren't given and we have no specific information on individual patents the deal makes for interesting prospects. 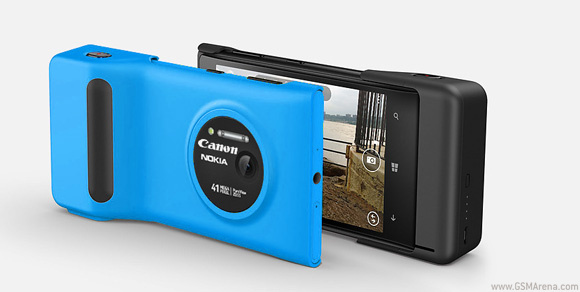 Microsoft could use Canon's patents and software knowledge for improving the PureView technology it bought from Nokia or perhaps Canon could launch a smart camera running on Windows Phone. Then again this deal could just be a reassurance that neither company will have patent disputes with the other. Or it could mean that the two platforms will be made to play nicer with each other - Canon cameras with Windows devices (smartphones, PCs, tablets). We're hoping to find out soon what the two companies needed the deal for. Nice to hear but I hope that only Microsoft will pay the costs. If canon contributes in the expenses, I'll feel sorry for Canon.